When I first tested Vince Camuto and came home, I kept sniffing my wrists. The fragrance was haunting me for hours on end. I couldn’t get enough of it. So much so that I returned the next day to the store to purchase it. 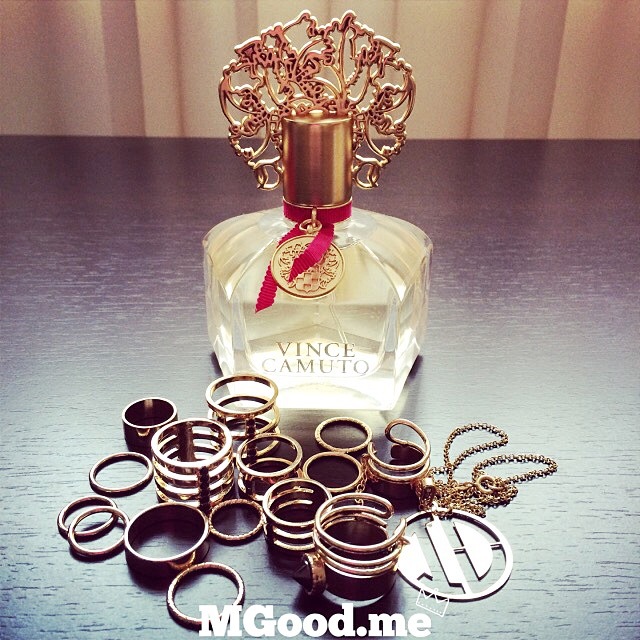 That’s how much I adore this perfume. For me, the top is a boozy pepper, altho pepper is not listed. Somehow, that’s what I detect. Next delight is the leather crackling with the rum swirling in a decanter. Jump right to the base notes and all of them intertwine together delightfully for hours in a creamy, delicate manner. At times, little bursts of florals pique your interest but hide more than show themselves. The patchouli, vanilla, musk and amber all dance languidly in the dark corners of the smoky nightclub of this boozy mix. What a sophisticated, Great Gatsby type of perfume this reminds me of. I envision a woman with her huge brimmed hat, long slim dress, huge eyes that show restraint but sensual want of her soul. Vince Camuto is not an overpowering perfume, just light enough to attract attention, sensual enough to give allure, the base notes being a surprise mix to mesmerize all. It surprises the wearer and others. Longevity is wonderful, lasting into the wee hours of the night with one spritz. A beautiful scent that never disappoints. From the initial spray as the notes disperse, I am never let down. I enjoy all the the phases of this perfume. A fragrance for any mood, for most settings, for all seasons, for self-assured ladies over 30. If you are that woman that exudes elegance no matter what you wear, where you are or what you are doing, this just might be your fragrance. A very pretty bottle sitting in my boudoir with its pretty gold filigree cap and red ribbon.